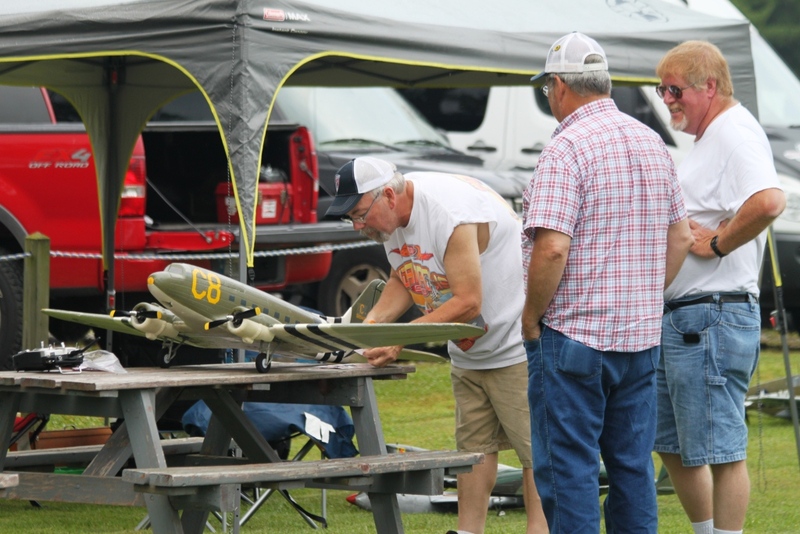 This year will be our 7th annual Warbird event, with each year turning out to be a bigger and better event. 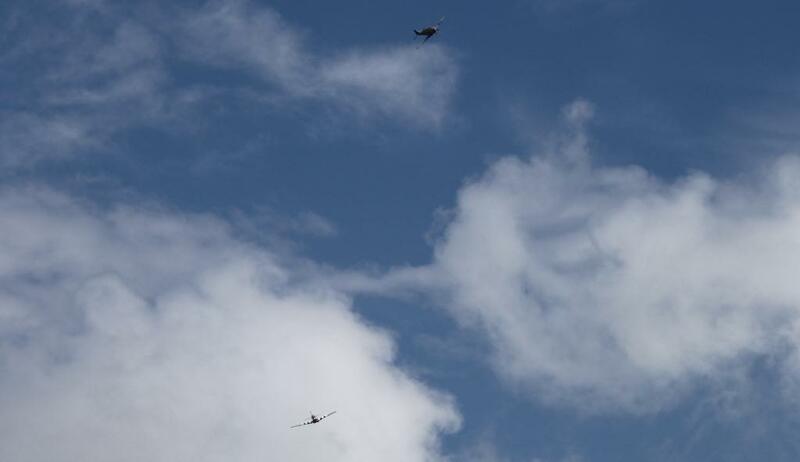 Everybody loves to watch Warbirds fly, any type, any size. Come out and enjoy the event. Our event is AMA sanctioned again this year and we will have hamburgers, hot dogs, chips, soda and desserts like in the past years. 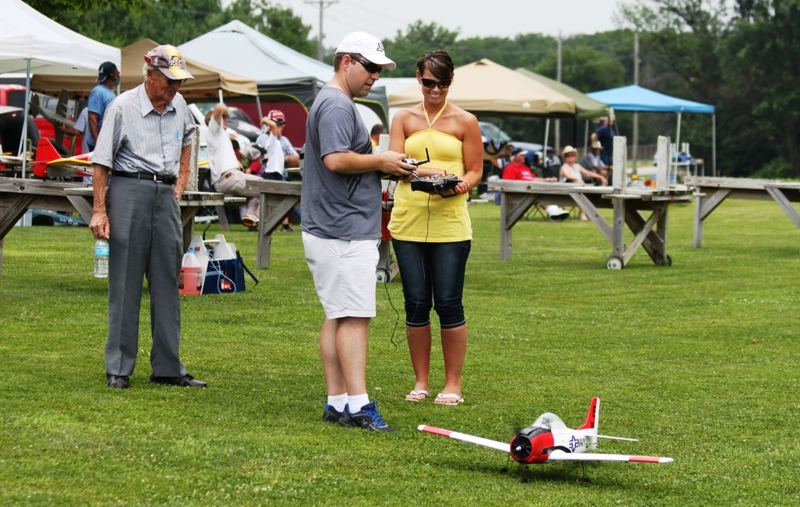 Registration begins around 8 am and then it is open flying all day. We usually have a raffle and trophy presentation between 2 pm and 3 pm in the afternoon, then back to flying or guys can cut out if they wish. 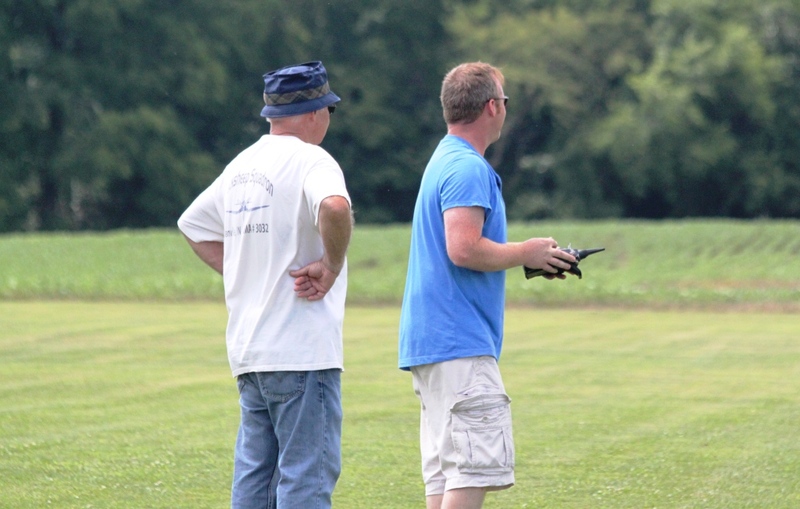 We will have club members act as flight line monitors, however, we do encourage you to have a spotter with you while flying. If you have an aircraft you would like to fly with a clear airspace. let us know, we can most likely arrange this. Early to say, but with all the moisture this winter, we should have a great field this coming year. How do you get here? 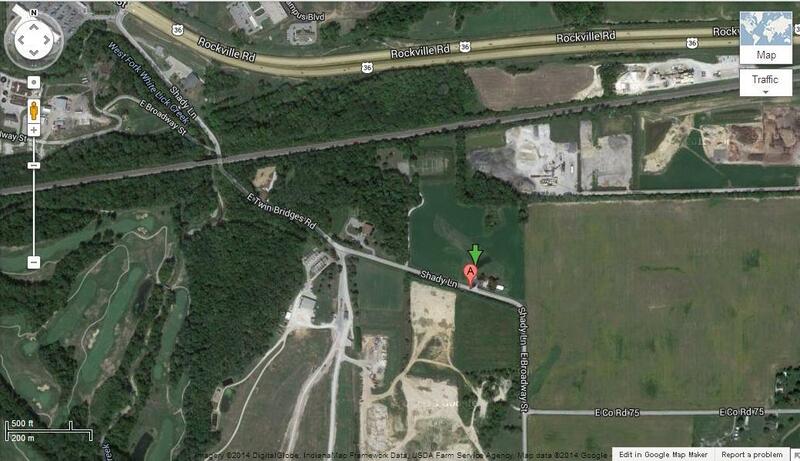 We are located jsut east of the Danville Kroger store on East Twin Bridges Road. The main runway is oriented approximately 305 degrees by 125 degrees and is 70 feet wide and 650 feet long. Lots of space to fly. 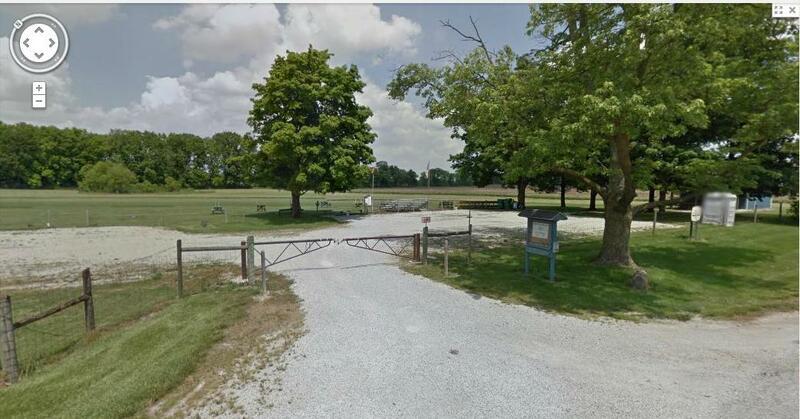 If you are looking for an address, the field is located at approximately 178 E Twin Bridges Rd (on some maps as Shady Lane), Danville, IN 46122. Our GPS coordinates are: N 39 45 096 W 086 29 800 Please see the map below. Looking in the gate, and from overhead, courtesy of Google. 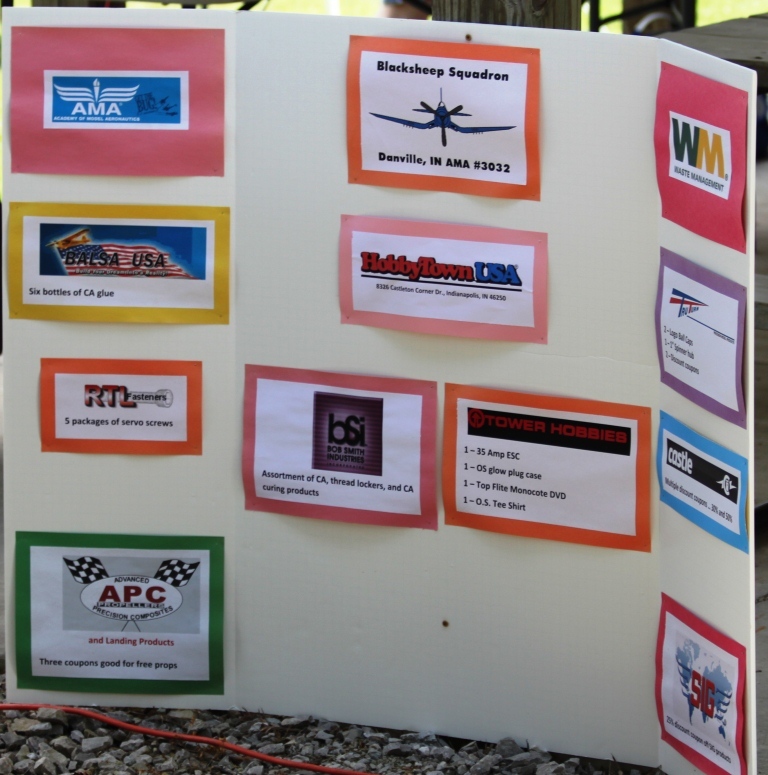 2013 event sponsors, be sure to support these wonderful companies who have supported us ond the hobby. Tru Turn Spinners RTL Fasteners Rolls-Royce SIG mfg. 7th Annual event on 28-June-14. Wow! Great event, great turnout. First, we want to take this opportunity to thank everyone who attended and supported our event. Special THANKS to the guys who helped get the field ready for the event and to those who helped run the event. We had several out of town guests and we sincerely hope they enjoyed their day. 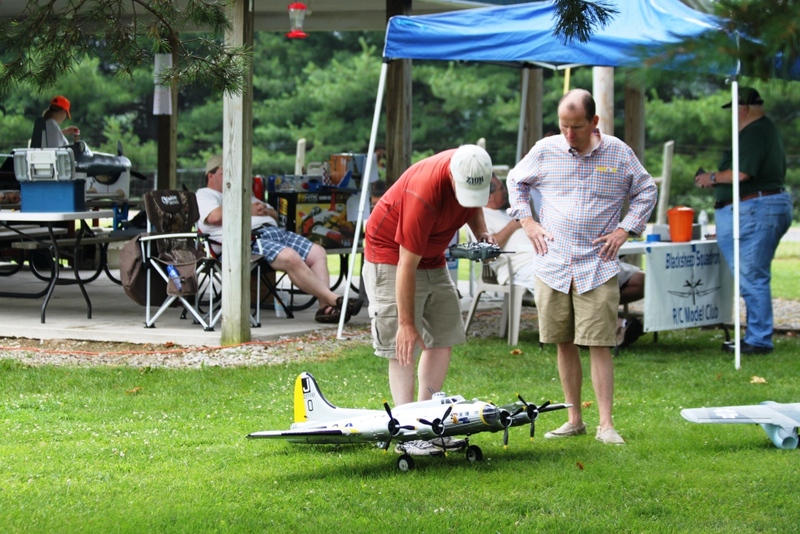 We had 40 registered pilots and served lunch to over 70. 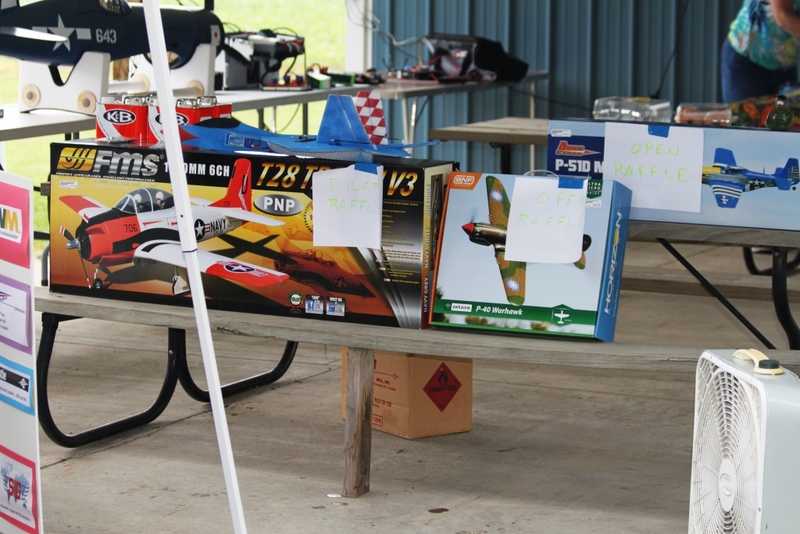 We had lots of cool planes for the raffles and pilots drawings. 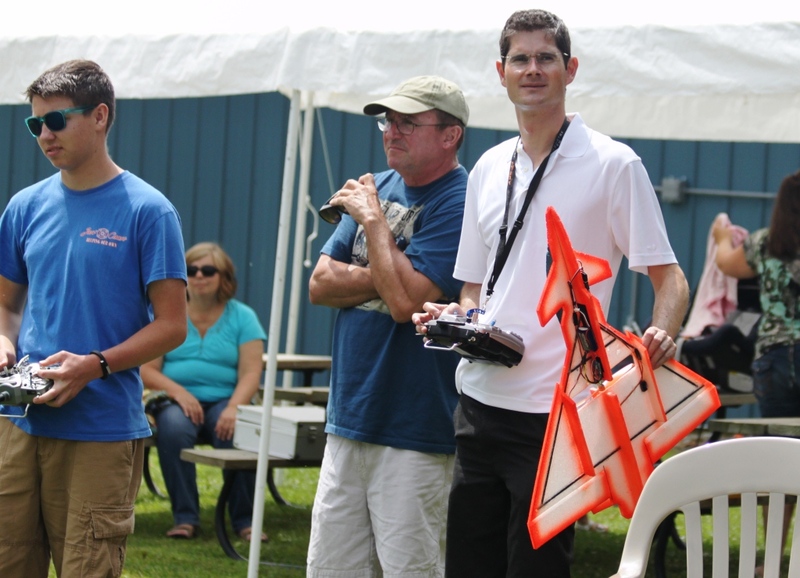 We also had many spectators for the event, love to see the looks young kids faces when we fly. The event started around 8 am with presentation of the flag and National Anthem at 9 am. Then came a short pilot's meeting and off to flying. The weather was less than perfect through the lunch time, brief periods of light rain and muggy. Around 2 pm we decided to conduct the drawings and present the awards in order to beat some fast approaching storm cells. We held the drawings and all the weather split and went north and south of us and out came the sun. We had several more hours of nice flying. There were lots of warbird flights today. 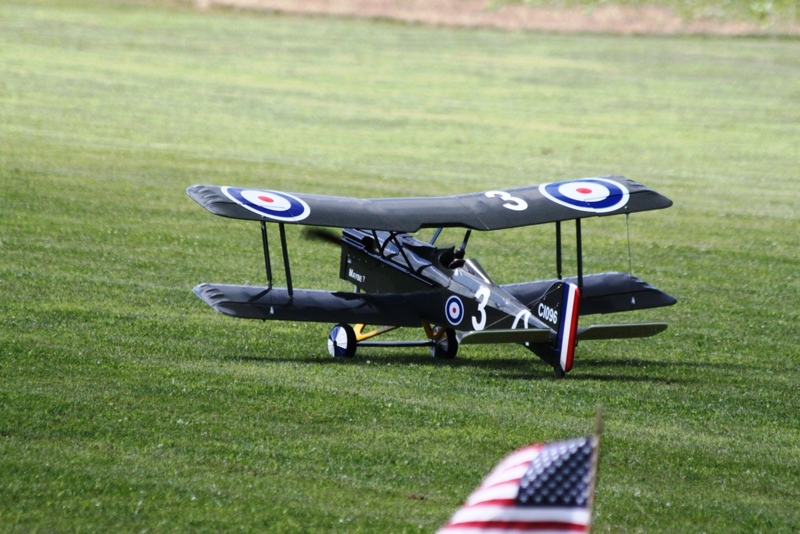 There were aircraft ranging from micros to flat foamies to larger foamies to large scale impressive aircraft. 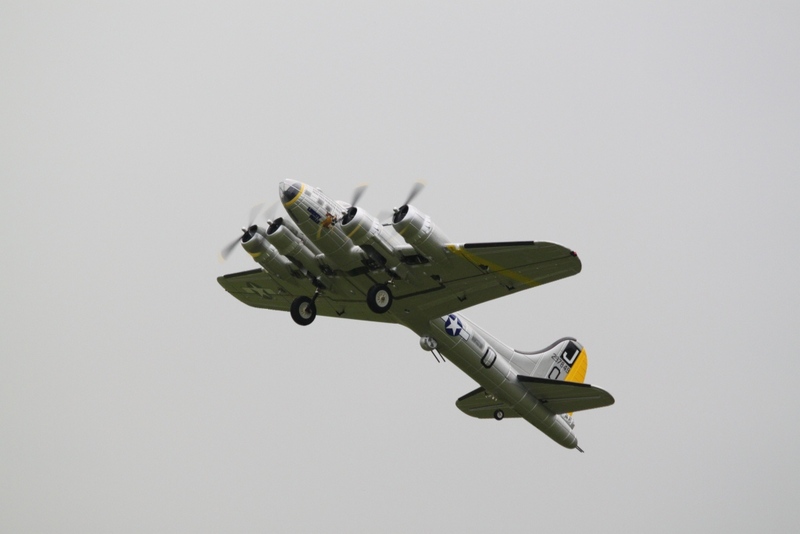 Turned out to be a great day for a warbird fly in and there was a plane in the air all day long, even during the rain. 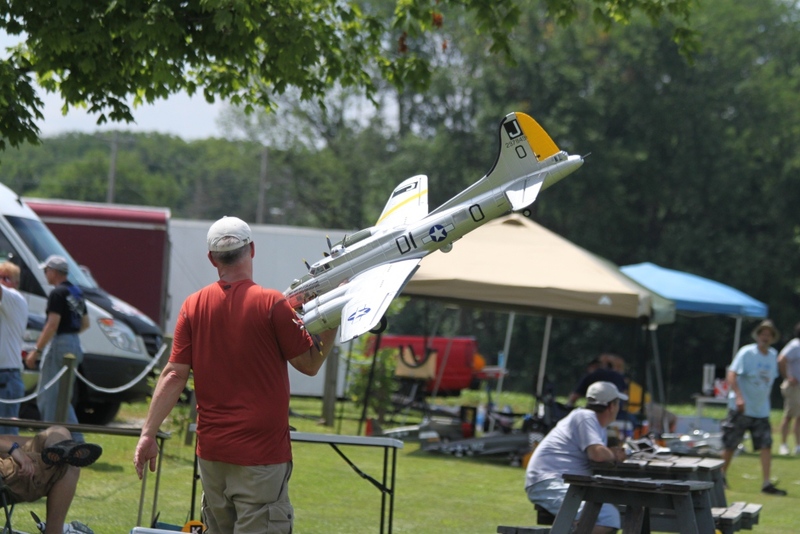 Best of Show - Bill Clontz's really nice RC Aerodyne Cobra. 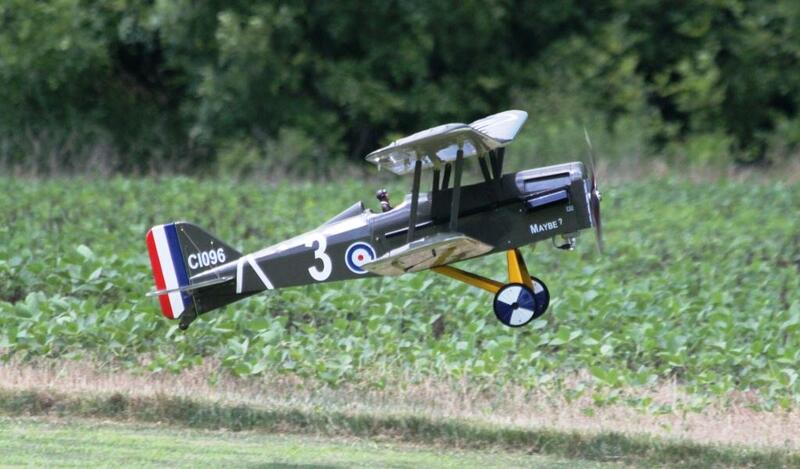 It has 800 mm blades and a truly authentic weathered paint job applied. 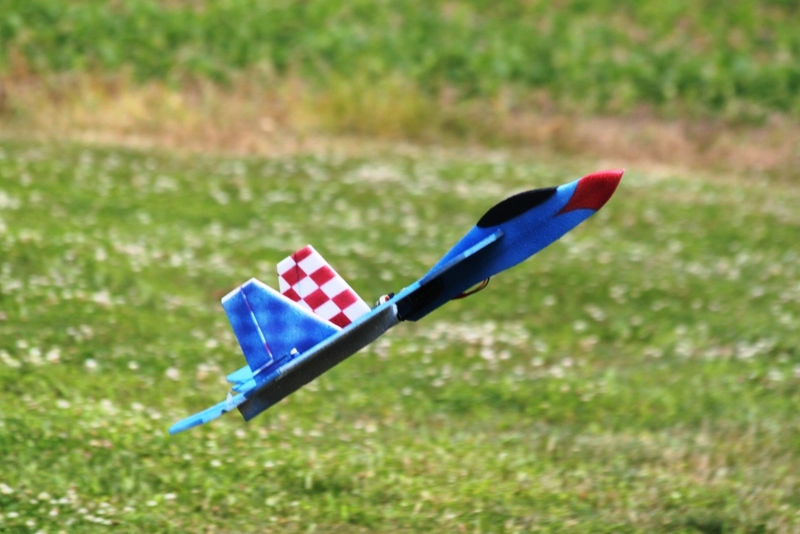 Pilot's Choice - John Hudak's Top Flite Focke Wulf 190. 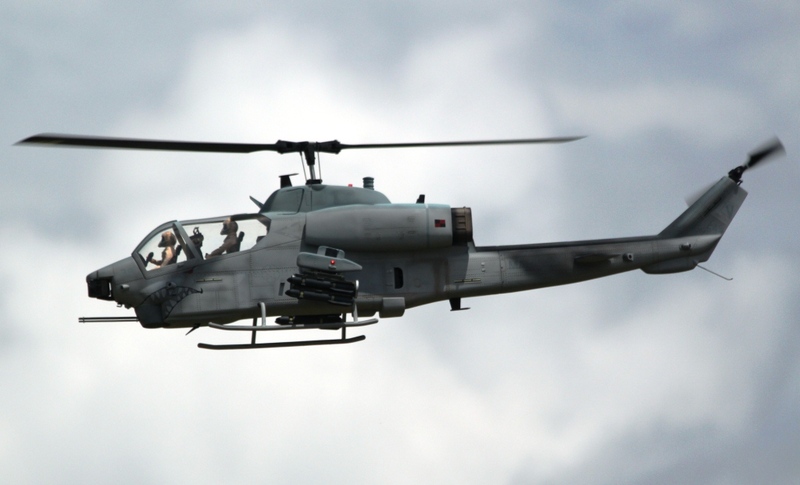 DLE 55 powered, the aircraft was stripped then fiber glassed and painted. Very nice details on panel lines and weathering. 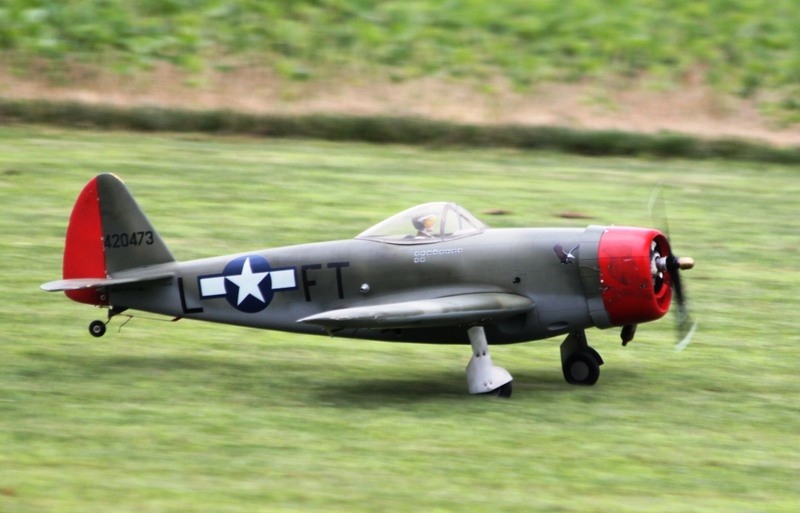 People's Choice - Stephen Woods Razorback P-47 Thunderbolt. 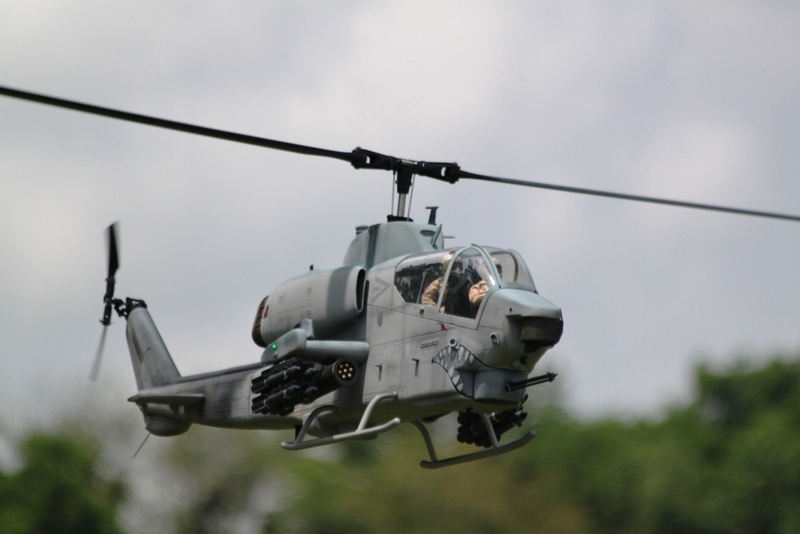 The pilots drawing winners : Phil Bean - FMS 1400 mm T-28, Ray Courtney - flat F-22 RTF and Daniel Burton - RTF Ares P-51 Mustang. Bill Clontz with his Best of Show Cobra. Bryan Baumer's ESM P-51C Mustang, powered by a DEL 30 with Keleo scale exhausts. Tom Hatfield and Tom Hatfield's Ecom SE-5, powered by a DEL 30, really nice. 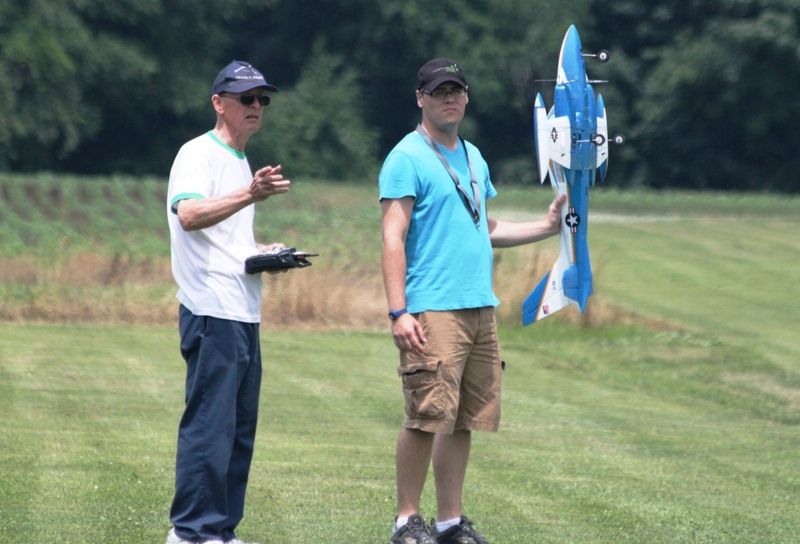 Tom Hatfield and Tom Hatfield as Tom is flying the SE-5. 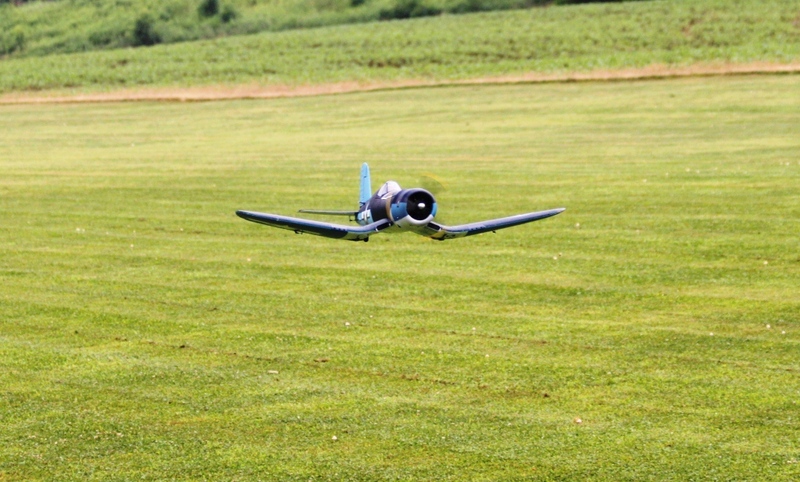 The Hatfield's SE-5 taxiing out. 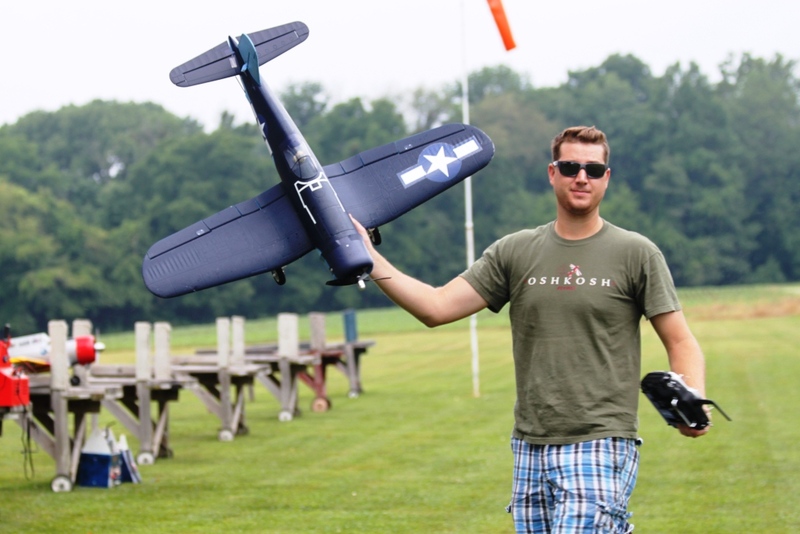 Bryan Baumer carrying his Troy Built B17 electric. 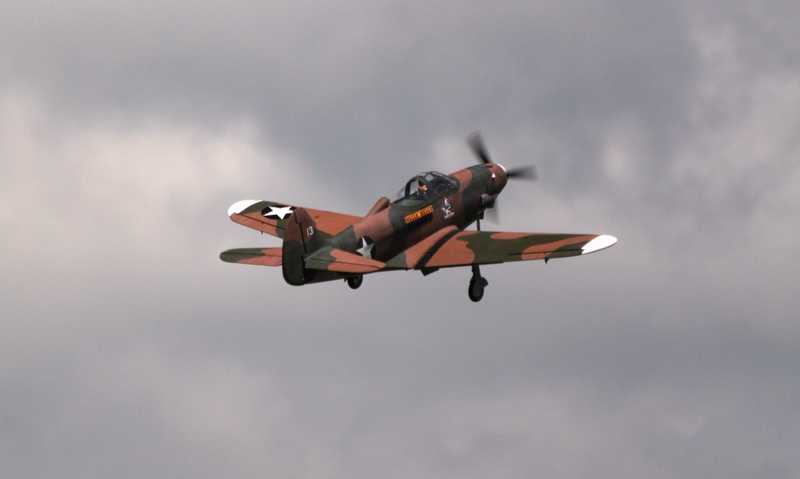 Bill Clontz's ESM P-39 Aircobra, powered by a OS 40cc 4 stroke turning a 3 blade prop. Vern Hines' Midwest T-6 Texan in a terrible attitude. Notice the left hand aileron dangling by the servo wire, made for a very difficult landing. Mark Tudor working a a small electric A-6 Intruder. 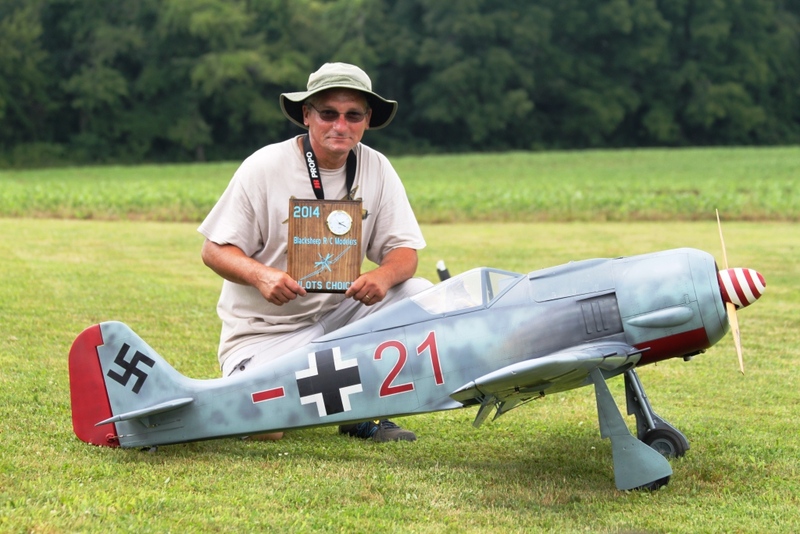 John Hudak with his Pilots Cjoice Top Flite Focke Wulf. Highly reworked. Detailing is extraordinary. Mika Woodard with an electric C130. 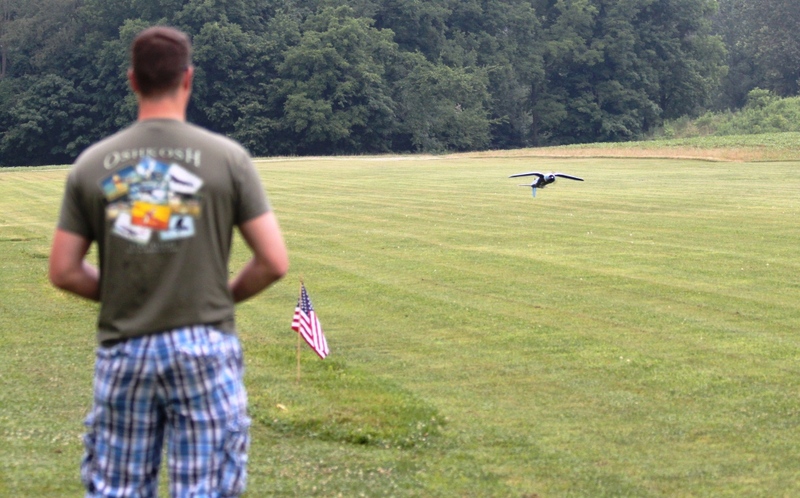 Mike had many small foam warbirds, he came to fly! 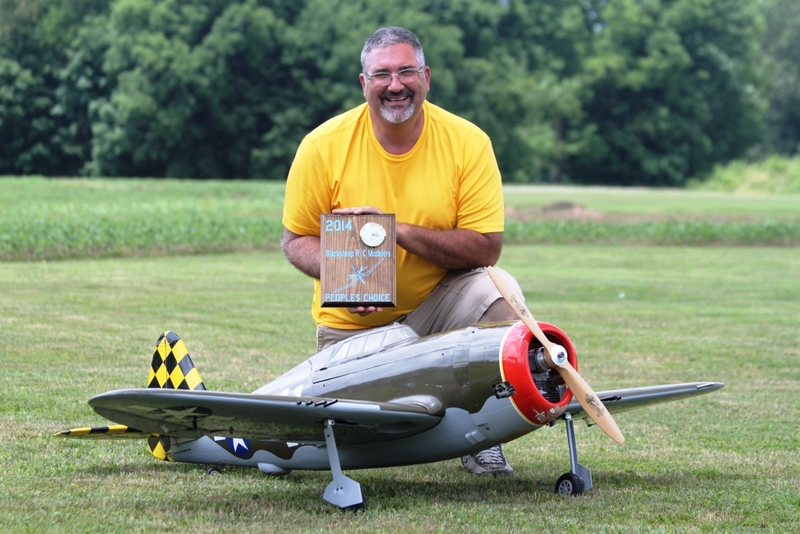 Stephen Woods with his Peoples Choice P-47 Thunderbolt razorback. 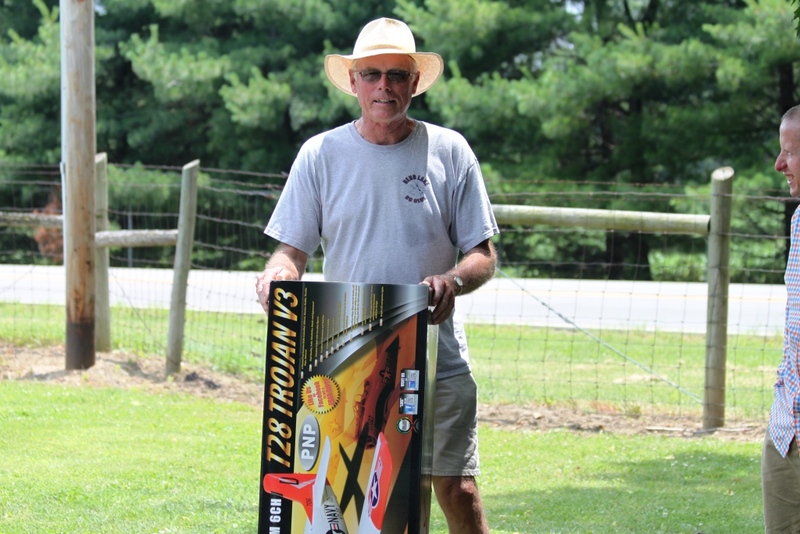 Ray Courtney flying the flat F-22 he won in the pilots drawing. 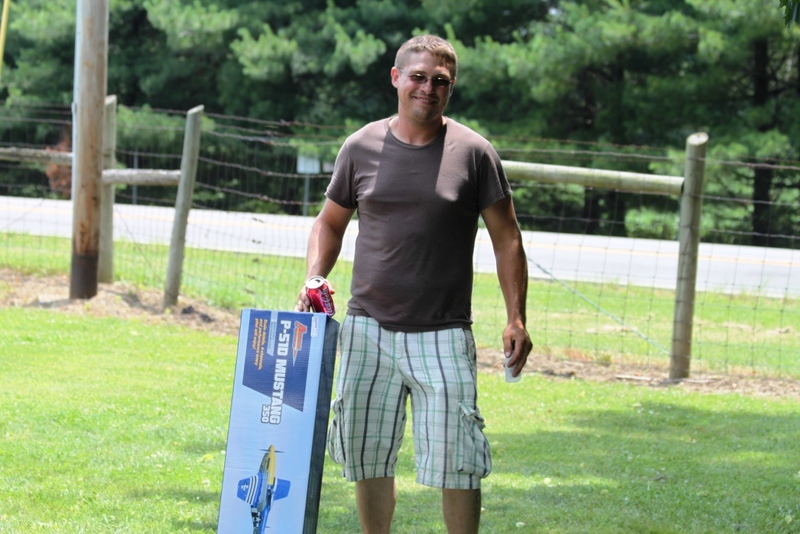 Phil Bean with his FMS T-28 he won in the pilots drawing. 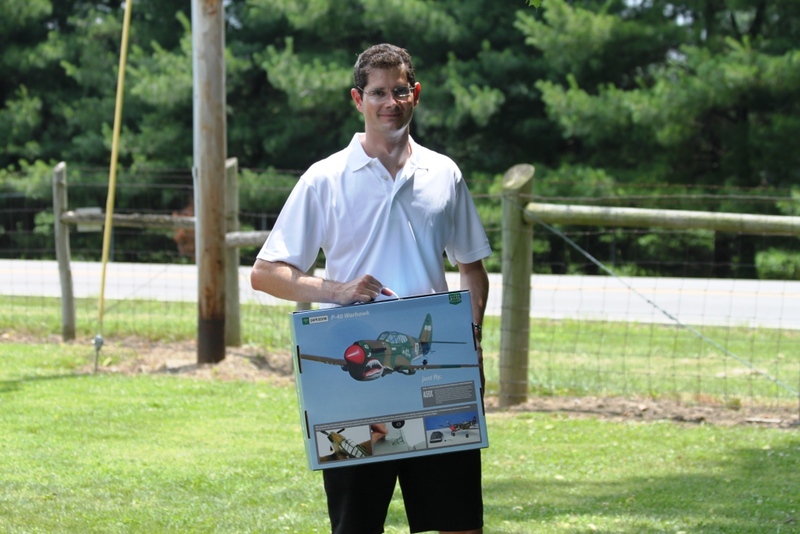 Daniel Burton with the Ares RTF P-51 Mustang he won in the pilots drawing. 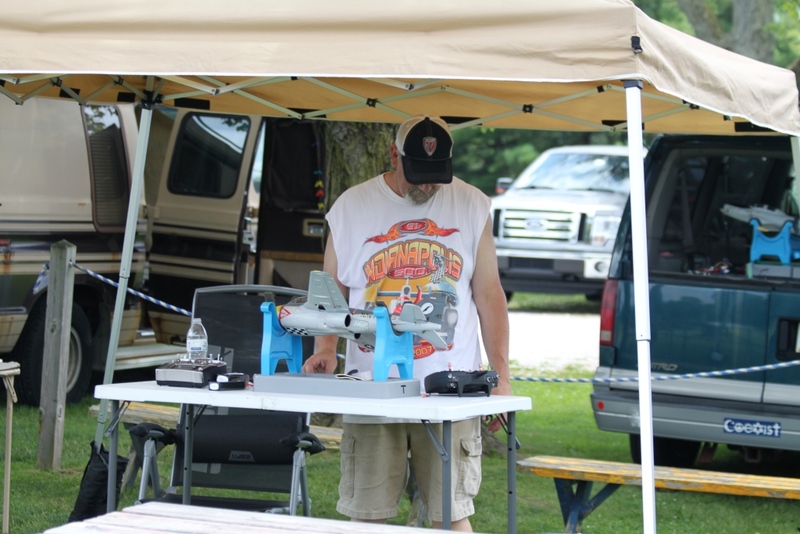 Brian Aimer with his Micro P-40 Warhawk in the raffle. Bill Clontz's Cobra coming in, if you were not a allied forces troop, you did not want to see this view! Bill's Cobra is too ice to not have several shots. Jay Thomas and Matt Shelton manning the registration table. 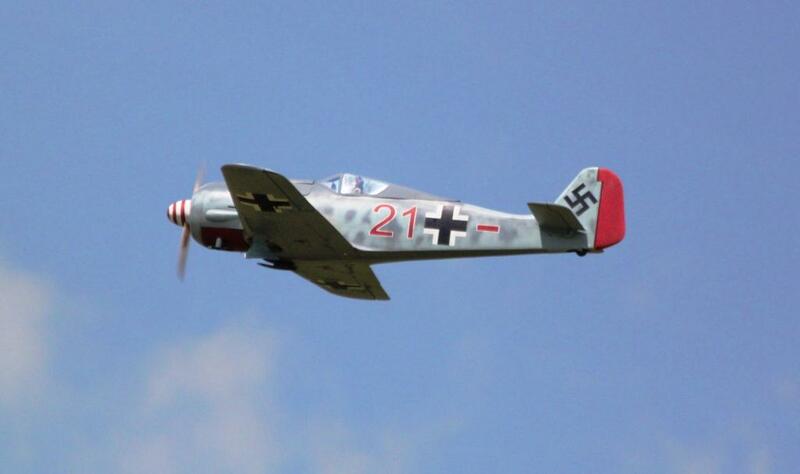 John Hudak's FW 190 coming in, looks like right out of a painting. Tiffany Rempe got her first ever warbird flight today with Matt Shelton and Rege Hall lending a hand. 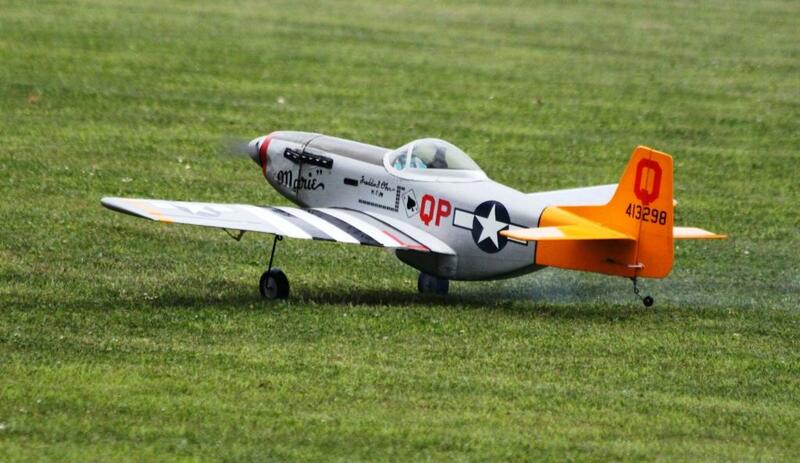 It was a E-Flite T-28 and she did great! 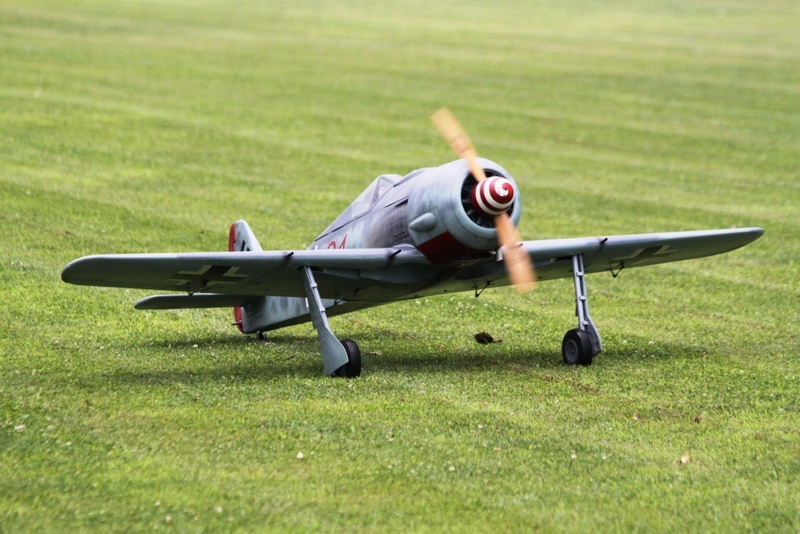 John's FW 190 taxiing by. 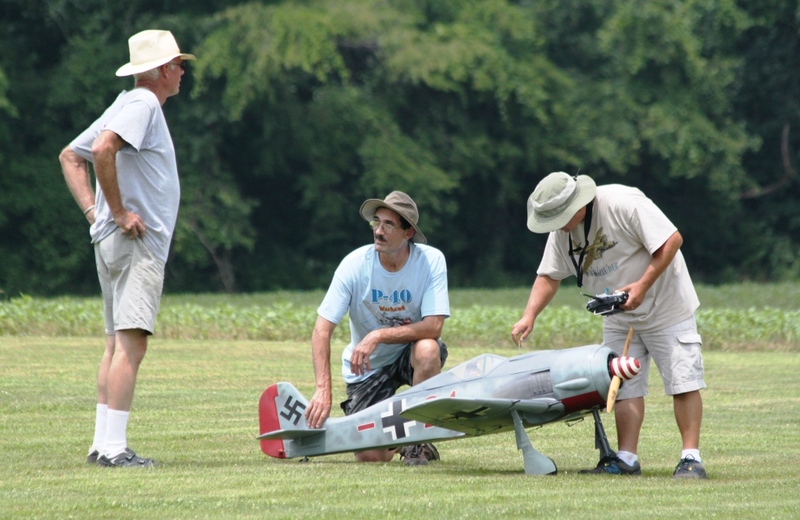 John with his crew getting the FW190 ready for a flight. Stephen Cook's giant scale P-47 Thunderbolt, razorback version. 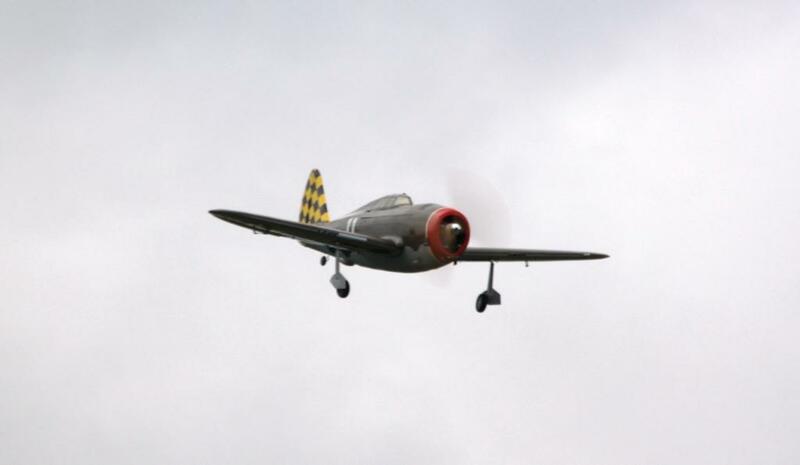 Daniel Burton's P-47 on take off roll. Scott Martin with his FMS P-51B Mustang, one of Scott's several warbirds he had out today. 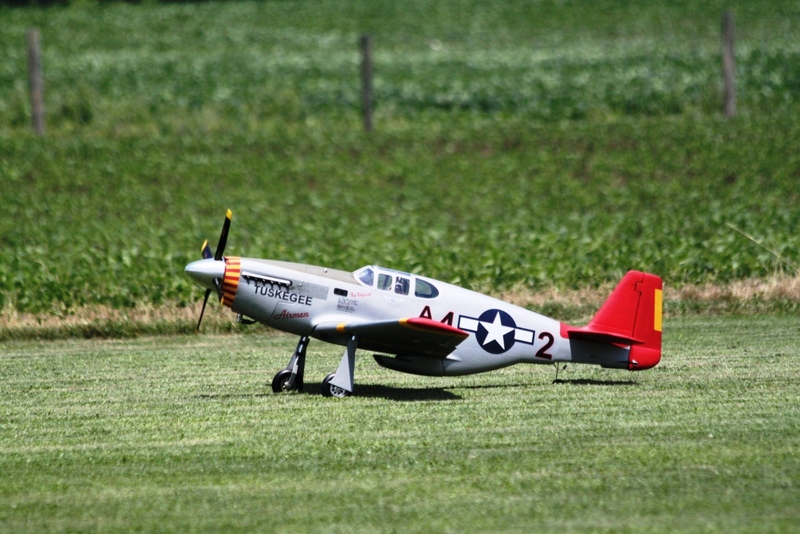 Scott's FMS P-51B Mustang back from one of many flights today. Wayne and Ryan Jones with Wayne's U-3 (Cessan 310). 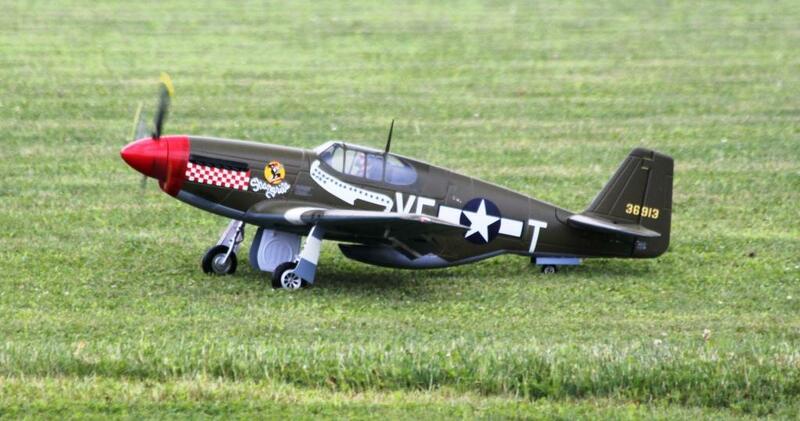 Phil Bean's Hangar 9 P-51D Mustang. Col. Dave Miller readying his Hangar 9 P-47 Thunderbolt, powered by a Magnum .91 4 stroke. 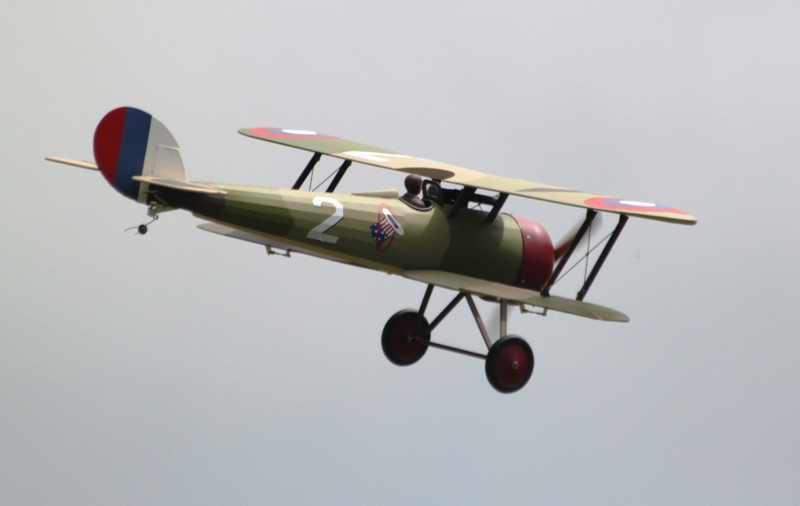 John Louden's Bals USA Nieuport 28, another very nice plane out today. 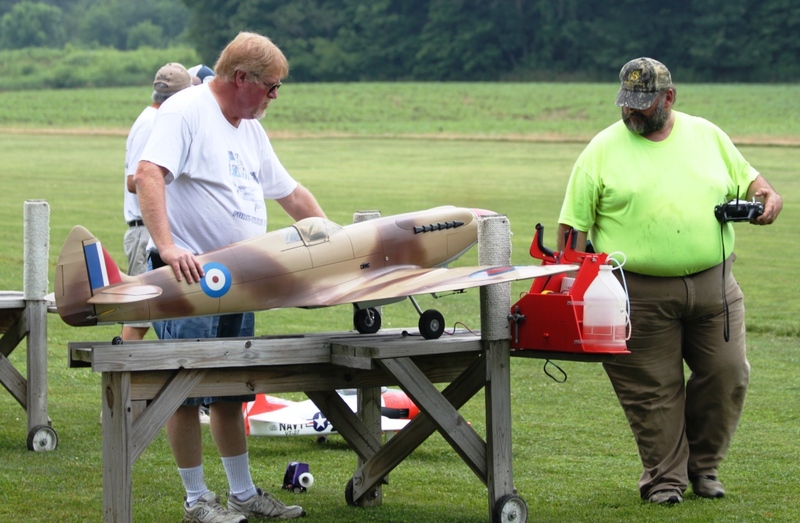 Brian Aimer with his flat Eurofighter, Dillon McBee and Ralph McBee look on. Some of the pilots drawing prizes. 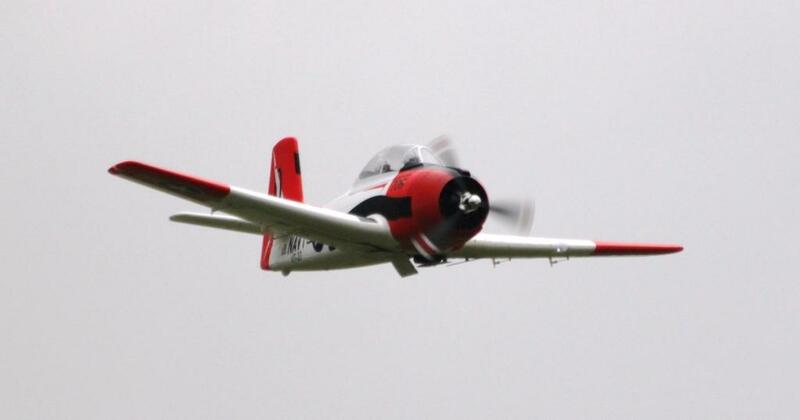 Jerry Morgan's FMS T-28 on a fly by. 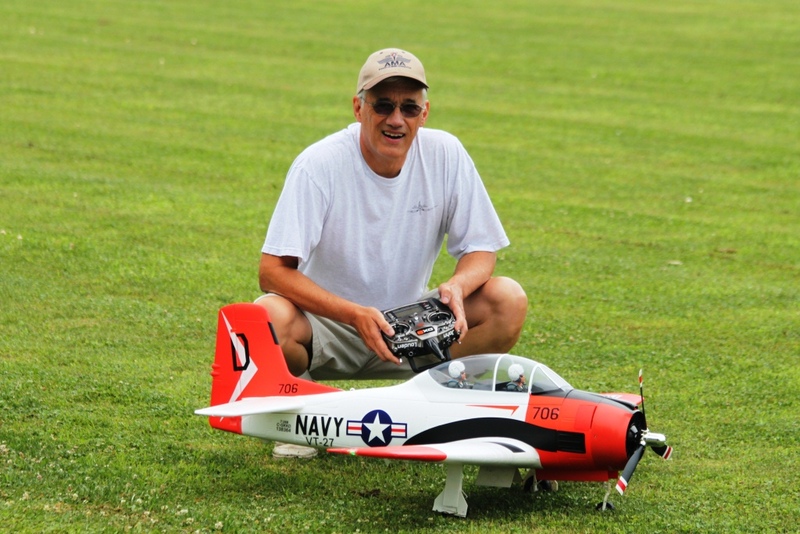 John Louden with his FMS T-28 Trojan, it was a Christmas gift. 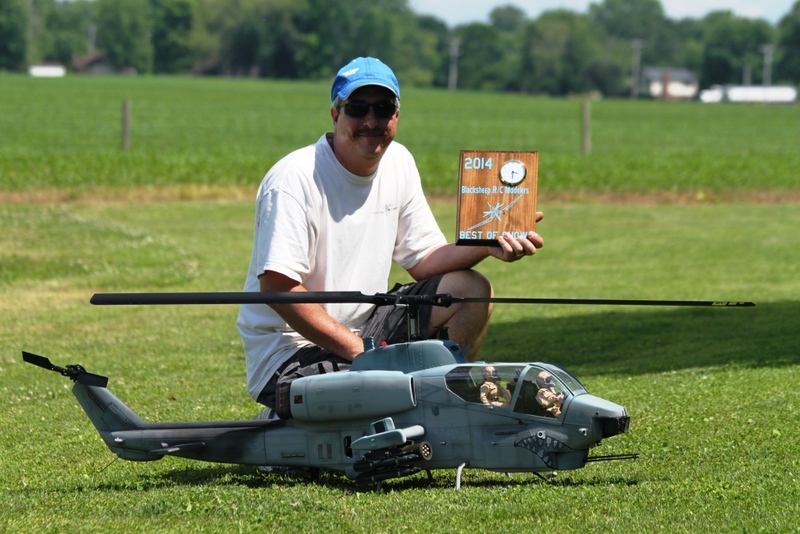 Curtis Prater with his Pice Spitfire, powered by a Super Tiger 3000. 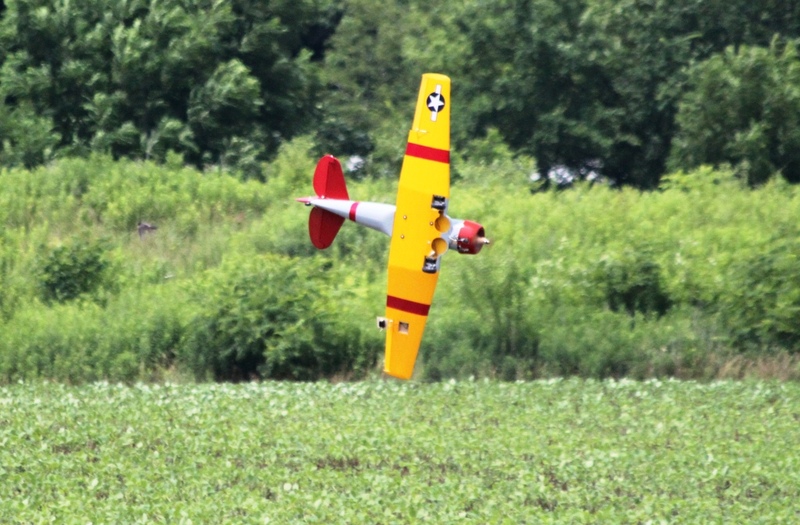 Parker Hall flying his E-Flite Corsair low and inverted. Parker's Corsair low and upright. 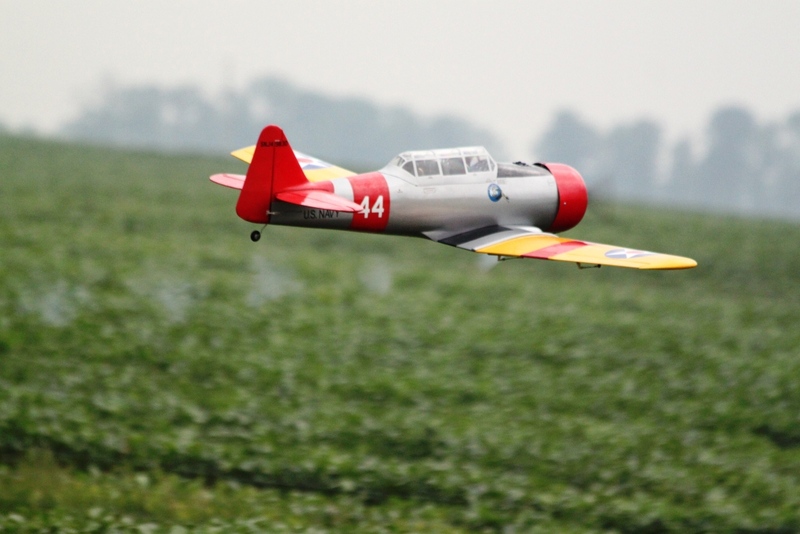 Bryan Baumer's Troy Built B-17 electric, climbing out like it has no bomb load. 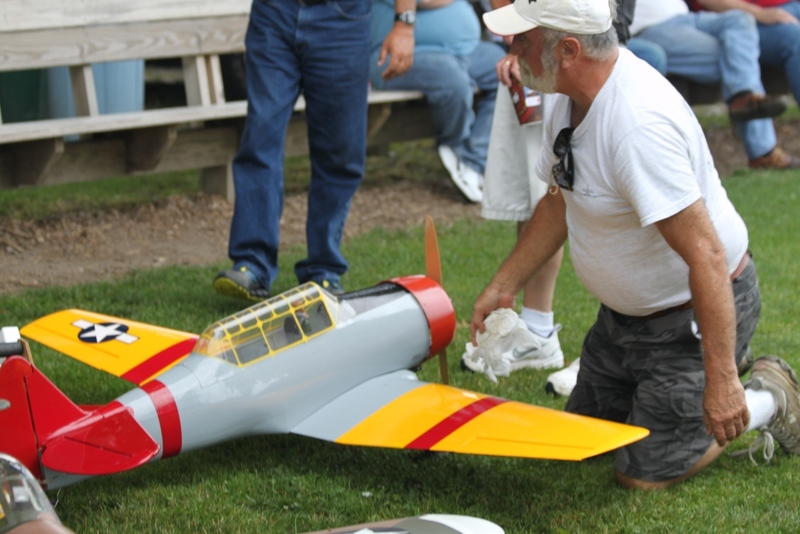 Mark Tudor working on his C-47 as Roger Dohm and John Laywer look on. 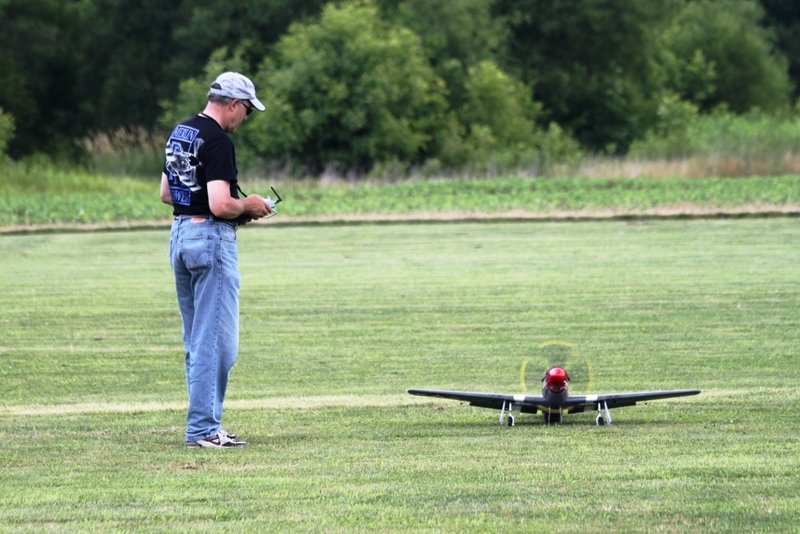 Parker Hall with his E-Flite Corsair, survived another flight. 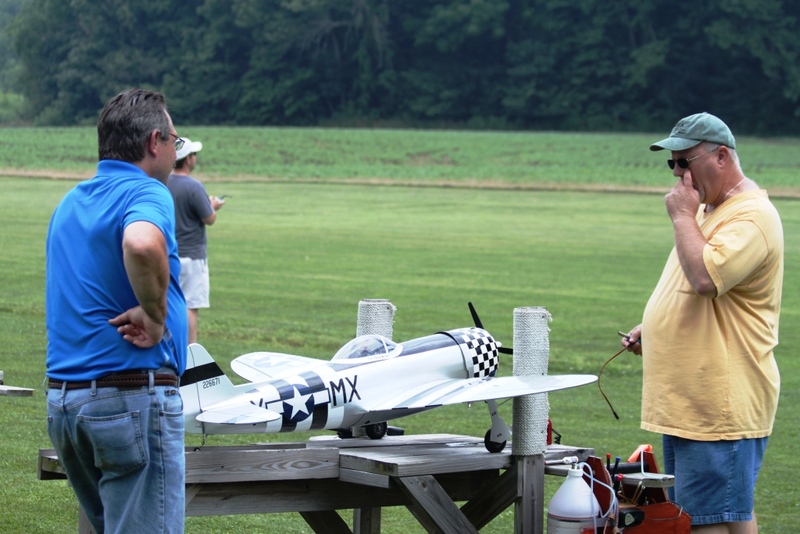 Troy Whitted looks on as Bryan Baumer get's his B-17 ready to go. Vern Hines working on his Midwest T-6 Texan, powered by a DLE 30 cc. 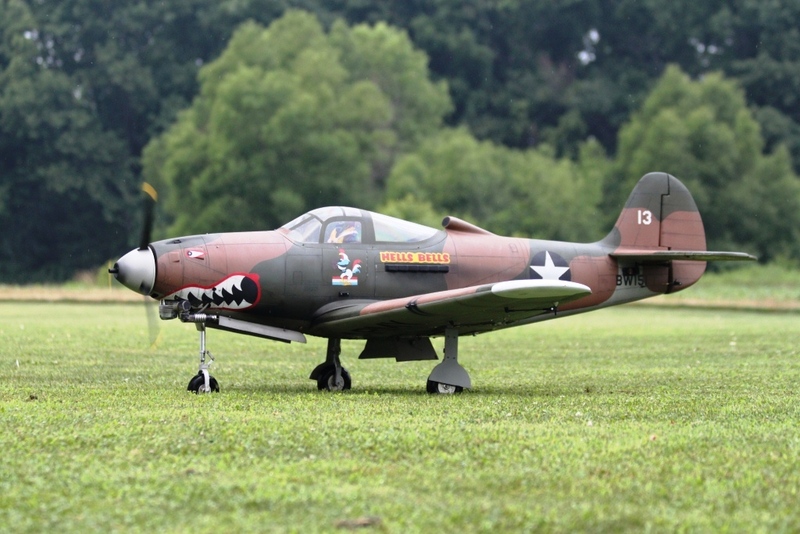 Bill Clontz's ESM P-39 Aircobra taxiing back. Matt Shelton's Midwest 60 sized T-6 Texan, many low fast passes, this plane did see. 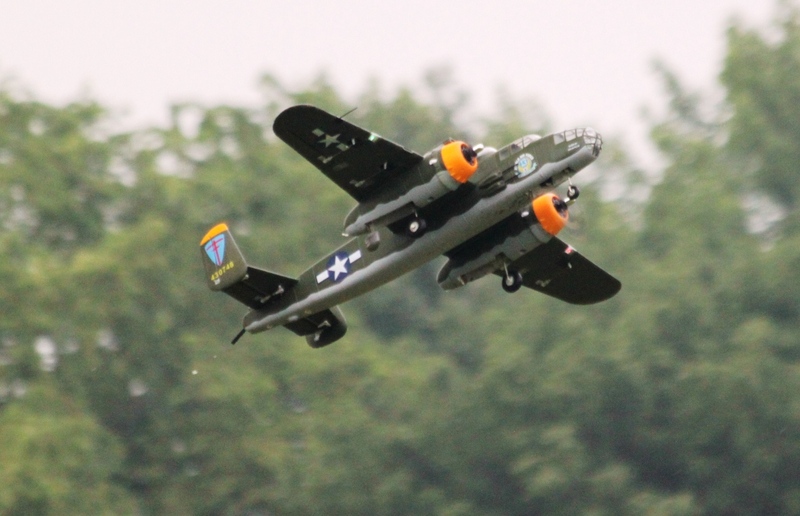 Joe Miller's B-25 blasting into the sky. 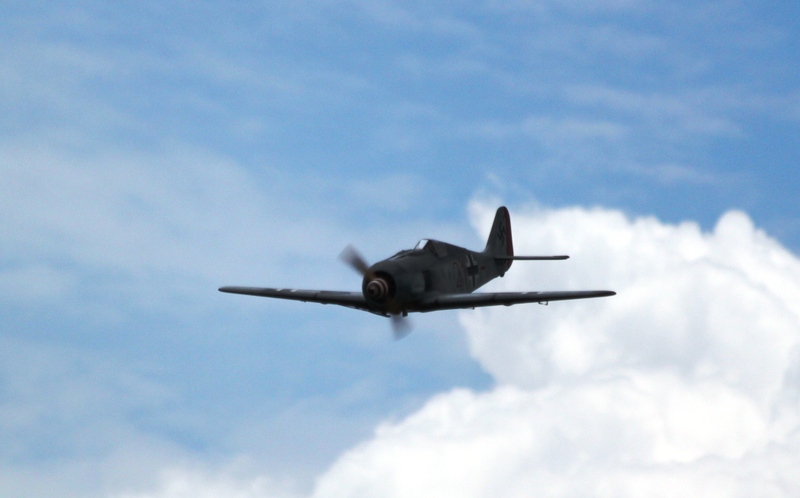 Another shot of John Hudak's FW 190 on a fly by. Look close, an FW 190 on the tail of a P-51D Mustang. 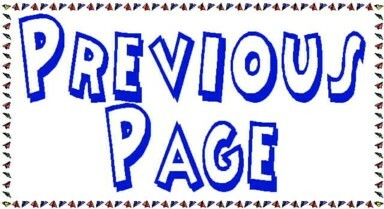 Check back, we will post more photos later.